There are more and more finds in Mexico that support the authenticity of previous similar objects. Non-everyday artwork depicts idiosyncratic creatures and aircraft that local residents are constantly experiencing in Mexico. Things that are often tempting seemingly come back thousands of years and represent creatures with long, elongated skulls and large, almond-like eyes. And other sculptures seem to show spacecraft flying in the air. Mysterious objects are said to be very popular among locals living near caves in an unspecified area of ​​Mexico. 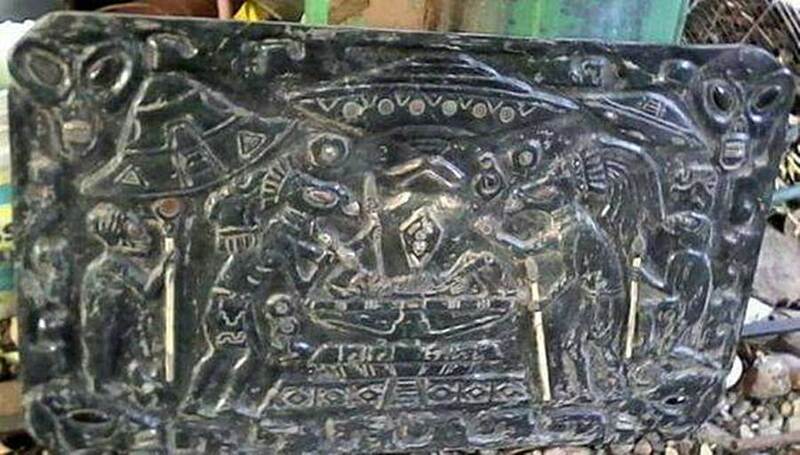 There is a Facebook page on ” Extraterrestrial archeology Mexico “, where photos and videos are regularly displayed on recent discoveries. In addition, during the lectures conducted by experts in the field, evidence is produced with evidence that was made in the places where the finds were found. The two videos below show a lot of evidence from Mexican shaman and researcher Paulino Martínez, and a member of a Mexican research team, José Luis Rueda.